Are you suffering from chronic pain and find yourself popping pills often for relief? Looking for a safe, effective, and natural pain relief alternative? 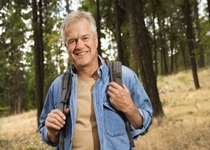 Pine bark extract may be the natural pain reliever you’re looking for. My friend Toby suffers from headaches all the time. At least once a day he complains of head tension. For relief from his persistent problem, Toby has tried every conventional remedy on the market. In fact, his medicine cabinet is filled with nonsteroidal anti-inflammatory drugs (NSAIDs), including aspirin. He’s spent a fortune on all these over-the-counter (OTC) drugs, and they only seem to bring him temporary relief, accompanied with bothersome side effects, such as heartburn, severe nausea, and an upset stomach. Toby then came to me for some advice. I proceeded to inform him of further risks associated with acetylsalicylic acid (Aspirin), acetaminophen (Tylenol), and other NSAIDs. These risks include recurrent heart attacks in acute coronary syndrome patients, increased risk of gastrointestinal bleeding, and the development of Crohn’s disease in the middle-aged or elderly. I also warned him that when these drugs are used on a regular basis, studies even link them to hearing loss in men. Aspirin is also for the prevention and treatment of cardiovascular conditions, such as stroke and heart attack; however, some studies show it may increase stroke risk and provide very little benefit in preventing heart attacks. Understandably, my friend wanted a cost-effective and safer natural alternative pain relief remedy for his headaches. Toby was pretty confused, until I told him about a significant study published in the journal Thrombotic Research in 1999. Pycnogenol is an extract derived from French maritime pine tree bark, and it is also known as pine bark extract. The researchers found that the bioflavonoid mixture pycnogenol outperformed Aspirin for the prevention of cigarette smoking–induced clotting in a 19-person, six-day trial. In other words, a low dosage of pycnogenol (100–125 milligrams) and a high amount of Aspirin (500 milligrams) did the same thing. Pycnogenol also did not increase bleeding time, which can lead to the potentially life-threatening hemorrhaging side effects experienced with Aspirin. Evidence also supports the anti-inflammatory abilities of pine bark extract. In a three-month study published in the journal Redox Report in 2008, researchers found that pycnogenol may display anti-inflammatory and antioxidant properties in knee osteoarthritis patients. The study observed 29 patients in the pycnogenol group and 26 in a placebo control group. Pycnogenol reduced systemic inflammatory markers, such as plasma free radicals, plasma c-reactive protein levels, and fibrinogen levels. Pycnogenol benefits your body in several ways. It can also reduce hypertension; lower cardiovascular and metabolic syndrome risk factors; improve diabetes complications, memory, and joint flexibility; prevent circulation problems; and reduce cancer risk. What’s the Price of Pycnogenol? The cost of pine bark extract will vary based on the dosage. A bottle of 60 mg pycnogenol capsules or tablets will range from around $15.00 to $20.00; however, the higher the dosage, the greater the cost. Remember, before starting any new treatment—over-the-counter or natural—it is best to discuss it with your family doctor. Many medications can interact with other prescriptions or natural treatments (even foods), so it’s best to get their medical opinion first. Ji., S., “The Powerful Aspirin Alternative That Grows On Trees,” GreenMedInfo web site, December 30, 2014; http://www.greenmedinfo.com/blog/powerful-aspirin-alternative-grows-trees-1. Bednar, M.M., et al., “Aspirin reduces experimental cerebral blood flow in vivo,” Neurological Research July 1999; 21(5): 488–490. Ridker, P.M., “A randomized trial of low-dose aspirin in the primary prevention of cardiovascular disease in women,” New England Journal of Medicine March 31, 2005; 352(13): 1293–1304. Curhan, S.G., et al., “Analgesic use and the risk of hearing loss in men,” American Journal of Medicine March 2010; 123(3): 231–237, doi: 10.1016/j.amjmed.2009.08.006. Marron, J., et al., “Natural anti-inflammatory agents for pain relief,” Surgical Neurology International 2010; 1: 80, doi: 10.4103/2152-7806.73804. Nocun, M., et al., “French maritime pine bark extract Pycnogenol reduces thromboxane generation in blood from diabetic male rats,” Biomed Pharmacotherapy March 2008; 62(3): 168–172. Belcaro, G., et al., “Variations in C-reactive protein, plasma free radicals and fibrinogen values in patients with osteoarthritis treated with Pycnogenol,” Redox Report 2008; 13(6): 271–276. “Pine Bark Extract,” American Cancer Society web site; http://www.cancer.org/treatment/treatmentsandsideeffects/complementaryandalternativemedicine/herbsvitaminsandminerals/pine-bark-extract, last accessed February 18, 2015.